Tamil National People's Front leader Gajendran Ponnambalam says he will fight to fulfill the aspirations of the Tamil people solely or as an alliance. He also says that he has invited several Tamil political parties as well as civil organizations in the North in this regard. He said that the public's admiration on the Tamil National Alliance in the North and the East has faded away and the political parties, comply with his Front’s policy, that are in the TNA will also be invited in future for a political alliance. 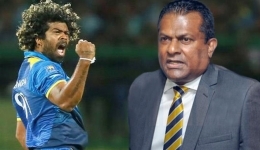 He said that former Chief Minister Wigneswaran has also been invited; however, Gajendran said that he has not received a proper response from him so far. He is of the view that the discussions are continuing, as he does not agree with the principles of the Alliances to be formed by Wigneswaran.